You wake up and feel it. You sit down and you’re reminded of it. You go to lift something and there it goes again. Even your friends and family know about it; they hear the constant moaning. “Isn’t it time you did something about it……you know, got it looked at or whatever? !”, said dad. LOW BACK PAIN is like a modern day plague of our times. Having worked a gym floor for nearly 3 years, I’d confidently state this is the most common problem I hear from the newbies joining gyms for the first time ever, and if it’s not their first time ever, then it’ll be their first time in dozens of years. The question, ‘do you experience lower back pain, or any joint pains?’ will be circled yes and I’ll get told I’m dealing with the weakest lower back I’ve ever seen. Never mind the gym induction I did 5 minutes prior, where I was also shown the world’s weakest lower back. So, are these lower backs weaker than the strength of a little finger or is this simply an ignorant diagnosis? Allow me to state clearly: With the exception of issues such as Sciatica, slipped discs and other orthopaedic problems, the fix for this chronic back pain era can be rather simple. And if you are suffering from issues mentioned above, the pain will have forced you to see someone about it before now. This post is aimed purely at those suffering from general, unexplained low back pain. Could Your Lower Back Be Too Strong & Overworked? What seems a blasphemous 180 degree turn, could actually hold the answer to a whole host of issues. 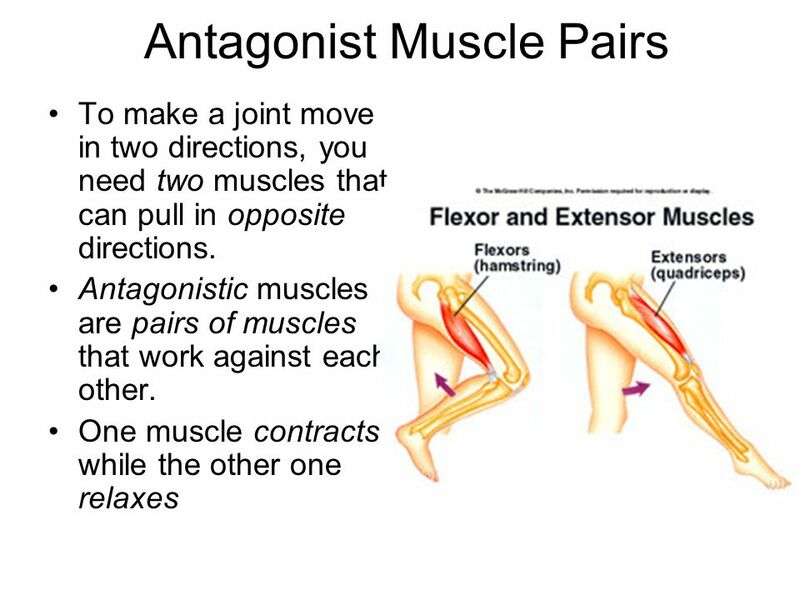 The human body – and particularly the muscular system – works in agonistic and antagonistic fashion; a fancy way of saying: Each muscle will have an opposite muscle responsible for the opposite action of the muscle in question. Reading that back sounds like an anagram. If you’re confused still, have a look at the image below. Notice the last one. The lower back is opposed by the abdominals. Them lovely superficial muscles everyone raves over. In 90% of general low back pain cases, abdominal weakness is the culprit. This was true for me too. The resting position of your pelvis is most likely to be in an anterior tilt if you experience low back pain. Mine was very tilted before I got into exercise, and I had low back pain that could be very intense after periods of walking – especially for long distances. There are many scientific tests for diagnosing an anterior pelvic tilt but we’ll keep it simple. If you look at yourself side on and just lift your shirt up slightly, (or better yet, don’t wear a shirt), you’ll see your belt or waistband is pointing to the floor. If this is coupled with low back pain with no apparent reason, it’s a strong bet you’ve got an anterior pelvic tilt. A by-product of this faulty pelvis alignment is the lower back muscles shortening and the abdominals lengthening. We know from basic muscle physiology, a lengthened muscle is never as forceful as a shorter muscle. Because your abdominals have got so long and slack, the lower back is now hypertonic (short and overworked). You can see further evidence of this when those with lower back pain attempt to do abdominal exercises like crunches, reverse crunches or any ab exercise involving flexion of the spine. They will get pretty significant pain. The pain is often due to the rounding of the spine putting a stretch on the muscles of the lower back. And when a very tight, hypertonic muscle is put on stretch, it will scream in protest. The hamstrings come to mind as a relatable example for this; anyone who has ever had, or worked with, someone with chronically tight hamstrings will have seen just how uncomfortable it is for them to go into any degree of forward bending. Before we think of strengthening the abdominals, it would be a wise idea to work on gently easing the lower back and getting it out of this perpetual hyper-extended state. There are some really nice ways to do this – moves that ease the tension and promote flexibility in other areas. Child’s Pose not only takes the extension off the lower back, but also gives the lats a nice stretch. The lats tie into the lower back, so if they’re short, they’ll pull on the lower back – further shortening an already shortened lower back! Correct form for the deep squat position; extended upper back and chest, no excessive rounding. Notice the excessively rounded upper back. The most common cause of this is calf tightness. Rather than trying to hold this position and fighting for your life, I propose a better strategy. Using support from anything you have – a door frame, a pole, a chair or just about anything you can use to hold on to……replicate the position demonstrated below. Supporting the position will make a deep squat much more comfortable if you’re lacking flexibility. Simply performing 1-2 minute holds of these moves towards the end of the day (either at bed time or after work), will really ease a day’s worth of over-extension. If you’ve been doing nothing to ease your back pain for years and you just do a minute or 2 per night, that’s a huge change in the context of things. Newbies to exercise still believe sit ups done for sets of 2000 will get you a six pack and help burn fat off the belly. This is akin to believing the reason you’re obese is because you eat gluten foods. Getting serious again, moves involving flexion of the spine (like sit ups) aren’t the best choice here as it’s the flexion that’s causing the issues (pain). Something more static in nature would be better – and would hurt less. The infamous ‘plank’ exercise is a really good starting point. There’s a vast difference between the planks you see at your gym and in random videos and a correct plank, however. Most ‘planks’ are done with the spine in – you guessed it – extension (an arched back). If the abs promote flexion of the spine, wouldn’t we want to avoid extension and be move towards a more ‘hollow’ position? Once you learn the right position for a plank, you’ll be able to train it and feel your way into alignment; you’ll no longer have to use a mirror or ask a friend if you’re where you should be. As planks become easier, you can start progressing to more advanced core exercises. But planks will serve you well for now. Try training the plank 3 times per week, with the stretches shown above daily for 2-4 weeks and re-assess your level of general back pain. I’d love to hear your experiences with trying this simple approach. Sometimes the simplest ideas are most effective. Don’t neglect sensible core training and your lower back will thank you. Lower back pain isn’t a life sentence. Disclaimer: These are just some very simple musings on starting the correction process of fixing lower back pain. Many more factors could be involved. Seeing a personal trainer, physiotherapist or medical professional will shed much more light on your personal issue than any internet article could. This is by no means a diagnosis, merely an eye opener to how posture can become messed up. If you are in the UK (London & Essex area) and would like more help on back pain or other issues, don’t hesitate to contact me via email: straighttalkingfitness@gmail.com. I also work with online clients too. Great info! Thanks for sharing ways to pinpoint what exactly is the problem.